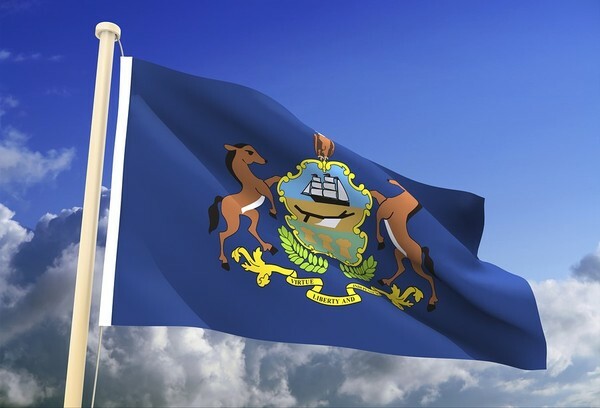 Pennsylvania is unique, in that the state does not have formal licensing requirements for home inspectors. The state does, however, have a rule with which you must comply. That rule states that home inspectors must be a member of a non-profit membership organization. Examples of these associations are ASHI and InterNACHI. Register for the ICA Real Estate Inspection Certification Program. This will not only give you all the knowledge you’ll need to perform a home inspection and own/operate your own successful home inspection business, but you’ll also learn all about commercial inspections, as well as mold, radon, and code. Upon completion of the course, you will be an ICA Certified Home Inspector and we will issue you a certification number, which you can use on your business cards and inspection reports. Join a recognized home inspection industry membership organization. The home inspection association that most students choose to join is InterNACHI. ICA home inspection graduates are eligible for a free one year membership to InterNACHI upon completion of our home inspection course. Got more questions? Read on for more information about Pennsylvania home inspection courses. As stated above, once you complete our course, you become a certified home inspector. Upon completion of the course, we mail out your home inspection certification and issue you your certification number. That number is what you’ll want to put on your business cards and home inspection reports. After that, you just need to join one of the membership associations of home inspectors. At that point, you’re ready to go! The average salary for a home inspector in Pennsylvania is approximately $75,000 per year. The average fee for a home inspection in Pennsylvania is $390. The amount you charge for a home inspection will vary based on age and square footage of the home. We cover that all during the online home inspection course. Is your training recognized by ASHI? Does Pennsylvania require continuing education for home inspectors? No. Continuing education is not required for home inspectors in Pennsylvania. Do you mail me a certification? Does the online home inspection course for Pennsylvania have a time limit? No. There is no time limit on our home inspection course, so you can take as much time as you would like to complete it. Yes. We provide you with a list of tools needed. The total cost of the tools, including your moisture meter and combustible gas detector, comes out to roughly $200. There is no state exam for home inspectors in Pennsylvania. There is no home inspection board in Pennsylvania. Can I start my own business after taking your online home inspection course? We have full support for all students and graduates, both during and after the course. Even if you have questions when you are on a home inspection, we can assist via email, phone, or text. Do I need to be a home builder to be a home inspector? No. We train students from all different backgrounds to be successful home inspectors in Pennsylvania. Being a good contractor does not necessarily make one a good home inspector. It doesn’t matter whether you want to become a home inspector in Philadelphia, Pittsburgh, Harrisburg, Lancaster, Allentown, York, Erie, Scranton, Gettysburg or Reading; our online home inspection course can be completed from anywhere. What are you waiting for? Enroll now and begin your career as a home inspector in Pennsylvania!